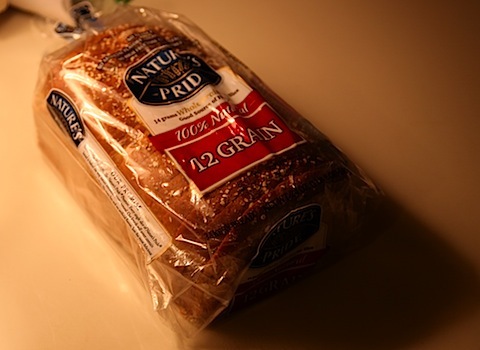 This post brought to you by Nature’s Pride Bread. All opinions are 100% mine. My kid loves sandwich he take in school he told me he like to eat sandwich it easier not unlike the other food he had a hard time to eat. anyways this sandwich is good i put onions, lettuce and other stuff which is good it has a vitamins much better compare the junk food. It was a fantastic sandwich i made the Natures Pride Premium Harvest Country White Deli Roll is wonderfulI it's soft held together even to the last bite None of that crumbling or falling apart. I loved the flavor. Not sweet, not salty it's perfect for holding together for the yummy good stuff inside the sandwich. next time I well add pepper and paprika. I didn't find it spicy. It was good though don't get me wrong but it didn't have the spicy flavor that I am looking for. I am allergy for spicy stuffs. Nature's Pride would definitely be the brand to go with. my kid love sandwich he take everyday at school and i well make it everyday before he woke up. I can imagine looks good and yummy. homemade is always better, right? thinly slicedI was really proud to make a sandwich both recipes came out really delicious! And speaking of pride you need is ready all the engredients. Arrange lettuce on four slices of bread. Spoon about 1/4 of tuna mixture over the lettuce on each sandwich. Top with thinly sliced tomato and remaining slice of bread. Cut in half and serve. If desired, seed cucumber before chopping. To quickly seed a cucumber, cut cucumber in half and scrape center with a teaspoon to remove seeds. Do you make a sandwich with your family? 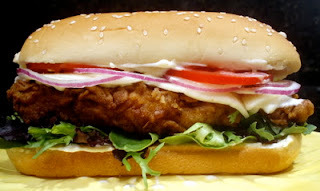 Just leave a comments below.Eating this sandwich is good for your health. You can join for free bread on month. There is a new winner selected every Monday. Please enter the Bread for No Bread contest to learn their updates.